It’s time for another guest post by David Bitterbaum (my 3rd!) of the slightly-known www.thenewestrant.com, and yes, I again shall talk about Kickstarter. Well, actually it is more about a particular aspect of Kickstarter and how it can cause a lot of problems. It seems for every major Kickstarter success story there are at least 10 other tales of failure. I don’t have any scientific data to back that statement up, but if you go on the website and look at the occasional project that got huge funding you’ll see a trail of “corpses” that make up all the other people who thought their amazing idea would garner pledges. That’s just the way things work though, and at least if a project doesn’t get funded the money you pledged is automatically yours again. What about when a project is too successful though? If that sounds confusing please allow me to explain how sometimes it is starting to feel that a project getting too much funding is dooming itself to other problems due to that famous bonus feature/s successful Kickstarters often have—you know it as the stretch goal. 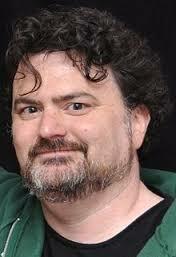 Tim Schafer and the video-game company he is in charge of, Double Fine, was an amazing Kickstarter success Story. They had the goal of raising 400,000 dollars so that they could make an adventure game, and their Kickstarter project got millions. Everyone was talking about how this was an example of the way Kickstarter could be used to get games that publishers are nervous about funded and before long other games people wanted were being proposed like Wasteland 2 or Dead State. Everything seemed great but as time went on cracks began to form in this seemingly perfect model. It was with an equal amount of dismay and pity that I learned the adventure game Double Fine was making thanks to their successful Kickstarter (titled “Broken Age”) was over budget. You read that right, a game that had a budget of under half a million and which made over 3 million dollars was suffering from money issues. How could this have happened though? The answer is quite simple, stretch goals. 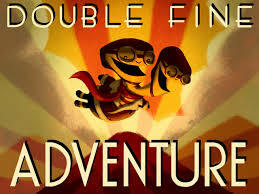 Double Fine is by no means alone in biting off more than they can chew. Without naming the names of other Kickstarter projects, I’ve seen games, comics, and all other sorts of things find themselves surprised by their sudden success and start over-promising on what they can get done with the extra funds. 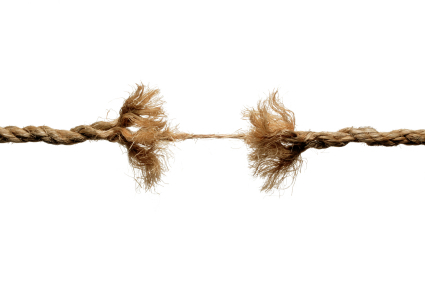 Plenty of Kickstarter programs are run by people with less business experience however, so it is more understandable for a single person or a small group of friends who started a Kickstarter and had it succeed beyond their wildest dreams to face some issue. The thing is, Double Fine is a gaming company that has been around a long time and Schafer and his company should have known better. They should have been aware that if they kept growing their game with the increased pledges things could get to a point where even with all the extra money they just had too much planned to feasibly do…and sure enough that is what happened. If only Schafer knew then what he knows now. It is a bit sad when a promising Kickstarter fails, and it is great when one reaches its goal. However, it is extremely tragic when a Kickstarter is so successful it ends up dooming itself to even more kinds of problems. I suppose the moral of the story is that when you start your Kickstarter it is of course necessary to have everything planned for if you meet your goal, but it is just as imperative to make sure you have the proper plan should things go extremely well. After all, you don’t want your joy at being able to have stretch goals turning into depression when you realize all those new plans are going to make delivering even on your initial goal impossible. So yeah, it isn’t so much, “Backer Beware,” as it is, “Seller, Be Aware”. This entry was posted by davidbitterbaum. Thanks for the thoughtful and informative post, David B., the various complexities of the beast that is Kickstarter is why I am still sharpening my sword and doing research before starting down the path toward Kickstarter with my various ventures. While Schafer’s level of severe overfunding isn’t typical, the victims left along the road on many failed Kickstarters continues to remind me to plan very carefully so that I can avoid as many pitfalls as possible. Every path has speed bumps and pot holes, but things don’t have to end badly. Thanks to Caffeineforge and the insights of others that have gone before, those of us still coming up the path may yet reach the other side safely, and would do well to listen and learn. Excellent post David. You did a great job of summing up some complex issues through the lens of current events. Thanks for the kind word, everyone!